For most of my life, whenever I set off to do something, I aimed to be (not do) the best. During my brief stint with physics, I was consumed by the desire to emulate Richard Feynman. When I studied history, I daydreamed of eventually studying law at Yale like the Clintons. In short, it was like having a powerful GPS system but lacking the fuel to drive far enough. My excessive self-expectations often led to frustration and impatience, hindering real and concrete personal growth. After all, progress takes time but self-doubt sprouts quickly. Therefore, I’d like to share with you two profiles in leadership to illustrate why we should grow our aspiration with our capabilities, not the other way around. Common sense can take years to learn. In the last issue, we already observed that this problem is not immune to statesmen (Mrs. May) and visionary leaders (Ms. Ocasio-Cortez). The contrast between the growth of John Quincy Adams and Abe Lincoln effectively illustrates the advantage of growing aspirations with capabilities than growing capabilities with aspirations. John Quincy Adams was the son to John Adams, the second U.S. president and a Founding Father. Rumoured to possess the highest IQ among all U.S. presidents, Adams was appointed by George Washington as the Ambassador to the Netherlands at twenty-six and became a senator at thirty-six. Yet Adams suffered from his parents’ high expectations and felt inadequate throughout his life. Campaigning in the 1824 presidential election, a stressed Adams wrote “I have more at stake…than any other individual in the Union”. That election turned out to be a deadlock between Adams and Andrew Jackson and the Congress would pick the president. Adams secured his presidency by winning the supporters of Henry Clay, another presidential runner-up. However, his immediate appointment of Clay as his secretary of state was accused by Jacksonians as a “Corrupt Bargain”. Great expectations inspired, pursued, and haunted Adams, depriving him, at critical moments, of common sense. Overestimations by others—which he then magnified—placed objectives beyond his reach: only self-demotion brought late-life satisfaction. 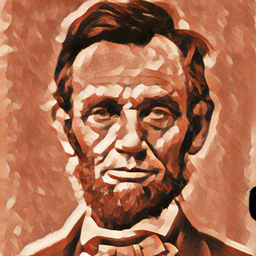 Abraham Lincoln faced what Doris Kearns Goodwin calls “obstacles unimaginable” to his political rivals. Born in a log cabin to farmers, Lincoln’s early life lacked comfort and security. No one would expect anything out of young Abe, who nevertheless seemed to noticed that he “was unusually gifted and had great potential”. No expectations lured Lincoln apart from those he set for himself: he started small, rose slowly, and only when ready reached for the top. His ambitions grew as his opportunities expanded, but he kept both within his circumstances. He sought to be underestimated. Alas, ambition and drive are great gifts. But on the road to personal growth and success, we must learn to balance our aspiration with our present capabilities and opportunities. 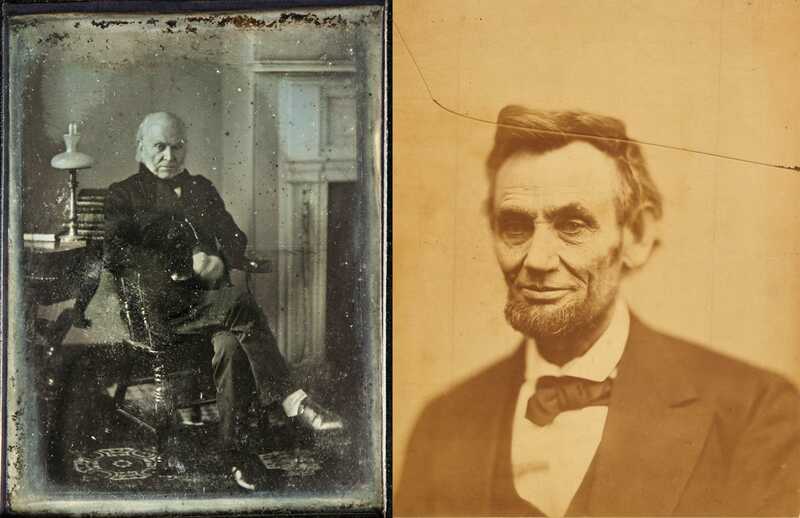 Therefore, when we feel impatient about our present situation, it might serve us well to remember John Quincy Adams’ failed presidency and Abraham Lincoln’s slow and steady rise. 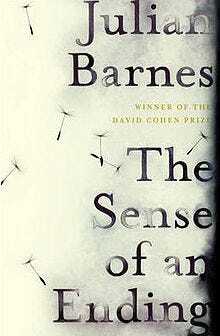 Some more incisive quotes from Julian Barnes’ brilliant novel, The Sense of an Ending. You bet on a relationship, it fails; you go on to the next relationship, it fails too: and maybe what you lose is not two simple minus sums but the multiple of what you staked. That’s what it feels like, anyway. Life isn’t just addition and subtraction. There’s also the accumulation, the multiplication, of loss, of failure. Someone once said that his favourite times in history were when things were collapsing, because that meant something new was being born. Does this make any sense if we apply it to our individual lives? To die when something new is being born — even if that something new is our very own self? Because just as all political and historical change sooner or later disappoints, so does adulthood. So does life. Sometimes I think the purpose of life is to reconcile us to its eventual loss by wearing us down, by proving, however long it takes, that life isn’t all it’s cracked up to be. Make sure to click on the 💙 button to support my newsletter! Don’t forget to recommend Profiles in Leadership to your friends! 👉 Subscribe here and follow me on TWITTER.